Career coaches can help people with a wide array of career-related goals and issues. Some seek career coaching because they're stuck in a dead-end job that brings no meaning or purpose to their lives, while others are challenged by the demands of balancing their work lives with their personal lives. Some clients know exactly what they want to do with their lives, but need help finding and executing a plan to get there, while others have languished without a clear calling in life. Career coaching helps people with all of these concerns and more. If you want to know more about career coaching, we've tried to answer all of your questions below. Take this quiz to see if you need a career coach! Quiz: Do You Need a Career Coach? Here are the answers to some of the common career coaching questions. Support - A coach is there for you. They actively listen to what you are saying and what you aren’t saying. They will create a safe environment where you are comfortable and can talk without judgment. Looking for work can be extremely isolating. Working with a coach provides the necessary support to move forward. A coach provides non-judgmental guidance and can see things from the 30,000-foot view, offering different perspectives and opportunities. They’ll help you identify where you are stuck, what the obstacles are between you and your dream job, and illuminate the path to what you really want. Structure and accountability - A coach will set up regular coaching meetings with you (by phone or in person) and assist in developing a plan to achieve your career goals. Looking for work can be frustrating, annoying and demoralizing and it may be difficult to know where to start. Having regular coaching sessions will lend structure and stability to your career transition. 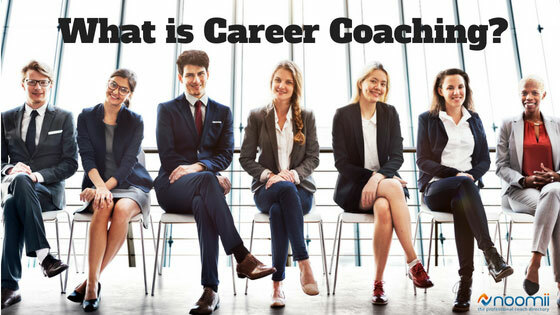 A career coach will customize a program to suit your individual needs and meet you where you are, whether at a career crossroad or in job search mode. They will provide the necessary accountability for you to achieve and exceed your goals, far faster than you would on your own. Focus - A career coach will help you focus on what you really want to do and where you want to do it by identifying your values, interests, talents and passion. They will help you discover what is really important to you and how that relates to finding your ideal career. Confidence and your personal brand - When you are out of work you may lack self-confidence and your perspective on successfully finding work may become clouded. Career coaching can provide you with fresh perspectives on the challenges and opportunities when finding meaningful work, give you better awareness of your strengths, accomplishments, unique value proposition and your own personal brand. How much does a career coach cost? Career coaching fees vary considerably from coach to coach, and are usually based on the coach’s experience, background, and training. Generally speaking, coaches with more experience and training charge more than beginning coaches. Most coaches, however, typically charge in the range of $75 to $250 per hour. Investing in your career plan is not for everybody. It's a considerable investment of time and money. Many coaches will ask for a 3 to 6 month commitment to ensure your success so you're looking at spending, on average, somewhere between $1000 and $2500. We - the coach matching experts here at Noomii - have helped thousands of people find a career coach and it's no surprise we get so many requests when you consider how much time people spend at a job they hate - or even worse, don't have (i.e. they're unemployed). So the job (pun intended) of a career coach is to help you find a job - but not just any job - a job you love. A career coach does this by offering a range of services. On one end of the spectrum is the personal development side of career coaching that helps you answer the big questions in life such "what are you passionate about? ", "What do you really want to do?" and "What career legacy do you want to leave behind?". On the other end of the career coaching spectrum are the technical job searching services such as resume writing, preparing for interviews, and developing job searching skills. What training do career coaches have? The coaching industry is not regulated. So what does that mean to someone looking to hire a career coach? It means that anyone can throw their hat into the ring and call themselves a career coach. Whether someone has taken a one-year course, a weekend online course or no training at all, they can legally call themselves a career, business or life coach. In order to get a qualified professional career coach, ask the coach about their experience, training and credentials. A safe bet is if the coach has a coaching accreditation from the International Coaching Federation (ICF). The ICF grants accreditation based on the courses you have taken from an accredited school, the number of hours you have coached, and a final written and oral exam. When coaches get listed on Noomii, the company verifies which coaches have ICF accreditation. Then once the credential is verified, Noomii prominently displays the relevant ICF accreditation on the coach’s profile. When choosing a coach, you may want to ask them if they have an ICF designation. This guarantees that you are dealing with a certified coach that adheres to ICF standards and ethical guidelines. What is the difference between career coaching and career counseling? Career coaching is similar in nature to career counseling. A career counselor provides you with industry information and advice to help you find a job. A career coach goes deeper to look at your whole life. A career counselor takes an educational, directive approach at building your tools for acquiring a job. A career counselor helps you assess the current employment landscape by providing employment information such as industry trends, employment statistics, salary expectations, and more. They also provide tactical support to find a job. For example, a career counselor can help you refine your resume, write a compelling cover letter, and get into the interview. This may be what you are looking for, especially if you are new to the workforce and are seeking an entry-level position. While similar in many ways, career coaching focuses more on your personal strengths, talents, and values, and helps you build your ideal career path based on these fundamental factors. A career coach works with you to find your true calling in the workplace - the career that will give you true meaning and purpose. Career coaching is based on the premise that if you are going to spend 8 hours a day or more in your job, it might as well be something that you love. A career coach will take the time to really listen to you. A career coach uses a variety of tools, exercises, and activities to help you identify your career goals and, critically, take action toward achieving them. After only a few sessions, you will have a much clearer sense of what type of career will give you the most joy and satisfaction, at which point you'll be in the position to start developing an action plan to get there. What are the pros and cons of hiring a career coach? One major pro of a good career coach is they have no preconceived opinions and will be able to take you through a deep dive of your entire life helping you excavate out what your true natural gifts are while discovering what it is that brings you the greatest fulfillment. Once you have a better understanding of who you truly are and what makes your heart sing, you will gain tremendous clarity on your true purpose—what you are meant to be doing on this earth. At that point, a skilled career coach can help you get beyond what is and to see what can be, which can be an eye-opening process on its own. What’s more, you also have the benefit of having someone with the knowledge and experience to help guide you into this new life. To take this a step further, a great career coach will be able to teach you how to listen to your own inner voice, to help you discover what really makes you happy. You see, the secret is happiness. Everyone I have ever met just wants to be happy. As a coach I find people spend a lot of time and money trying to figure out what makes them happy and often don’t get there. What I have discovered after coaching hundreds and hundreds of people is that, if you learn to listen to your heart, that inner wisdom, you will find happiness. And that happiness can be expanded if you focus on growing what we have discovered in the deep dive and looking at what can be. On the more technical side, the pros to hiring career coaches is that they are there to support and encourage you when you become discouraged or are facing rejection. They are experienced in knowing what employers look for and how to better present yourself on your resume, cover letter or in a job interview. They can help boost you back up and inspire you to keep moving forward. They can help you clear your blocks and identify what might be keeping you stuck. They will help you gain the confidence and skills to move forward in the direction you are meant to go and can help you balance current life needs with career goals. And last but not least, coaches are great sounding boards and will always hold you accountable, so you can make the progress you desire. One of the cons of hiring a coach is the expense. If you have no discretionary income it is difficult to afford but the question is—will it be worth it? Your career and your happiness should be considered an essential investment, although it is understandable that financial limitations are sometimes unavoidable. Another con is the challenge of finding the right coach for you, one who can truly do what they say and help you move forward. How do you know if they are right? How do you know if they can help you make those game-changing, life-changing breakthroughs? Are they a coach who can help you learn to listen to your own inner wisdom or will they force their beliefs and biases upon you? You want someone who is listening to you and following your innermost guidance and not pushing what they think is best for you. This comes back to that inner knowing. After having your first conversation with a potential coach, take time to be quiet and ask yourself—is this person right for me? Will this person help me take my life to a much better place? See if you get a positive physical response, such as a warm heart, a smile on your face or even a tingling sensation when you think about it or them. If so you are good to go. If not, if all you get are questions or worries or anxiety, there is a reason for that. Listen to it. Don’t proceed forward. Your heart and body know what’s best for you, you just have to learn to listen. We see so many people asking specifically for career coaches in their geographic area. Which is understandable because we naturally want to meet people face-to-face, especially if we are hiring them for something as potentially life-changing as career coaching. And while I can appreciate this, with technology today, a non-local coach can be just as, if not more effective, than a local one. In this article, I’ll outline the advantages of hiring both a local vs non-local career coach and explain why there are more important factors to take into consideration over location. Mock interviews can also be done via Skype and Google Hangouts and the in-person interview process is just one very small part of working with a career coach. Even well-connected coaches would only have contacts for a small percentage of companies that you may be interested in. And many of their connections may have more of a global reach. Career Coach vs Headhunter: What is the Difference? What Does a Career Coach Actually Do? Career Counselor vs. Career Coach: What’s The Difference? Do I Need a Career Coach or Just Some Advice? Do Career Coaches Offer Guidance or Advice? Kristen is the editor and community manager at Noomii.com and the Noomii Career Blog. Kristen's desire to ask questions and share information with others led her to pursue journalism. While she has worked at various publications, covering everything from municipal politics to local restaurants, it was her love of self-improvement and sharing inspiration with others that made Noomii the perfect fit. Connect with Kristen through Twitter. LOOKING FOR A CAREER COACH?